If you know someone with this disease, order this free book to get practical answers about treatment options, support, legal options and more. 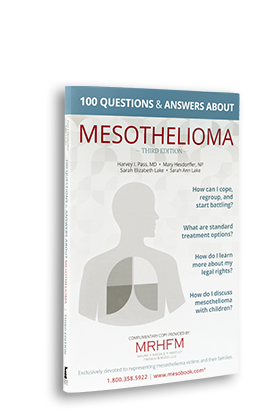 100 Questions & Answers About Mesothelioma is devoted to providing treatment information for those diagnosed with this disease. This book offers help - whether you’re a newly diagnosed mesothelioma patient, a survivor, a friend or a relative. It is written from a medical perspective and gives you authoritative, practical answers to your questions about treatment options, post-treatment quality of life, sources of support, legal options and much more. Get your free, no obligation, copy of this book by filling out the contact form to the right or call us at 800.300.1893 and the book will be rushed to you. Mesothelioma is a rare cancer caused by exposure to asbestos. Mesothelioma originates in the mesothelial tissue surrounding the lungs, abdomen or heart. Asbestos is the cause of mesothelioma. Mesothelioma is caused by inhaling or ingesting asbestos fibers. Asbestos is the generic name for six naturally occurring minerals. 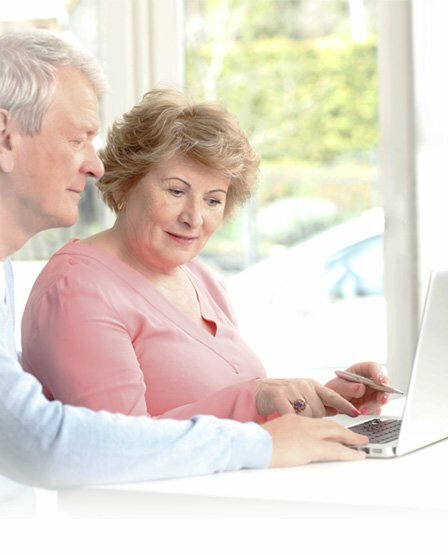 Hear stories from real mesothelioma patients & family members on their original exposure and diagnosis, treatment options, quality of life, financial support and more. needs. Read through the resources available to you below. Did you know 30% of mesothelioma victims are veterans? Click here for more information on mesothelioma in veterans. If you or someone close to you has been diagnosed with mesothelioma, our Doctor Match program can assist you. There are a number of cancer centers throughout the United States that treat mesothelioma. We can help you find one. Treating mesothelioma depends upon the disease stage, the location of tumors, the patient's age, history and current health. Mesothelioma Awareness Day is every year on September 26. Click here for more information on how you can participate.